Buy Natural by Nature patchouli essential oil - 10ml in the UK from our online shop or directly from our independent Scottish store. 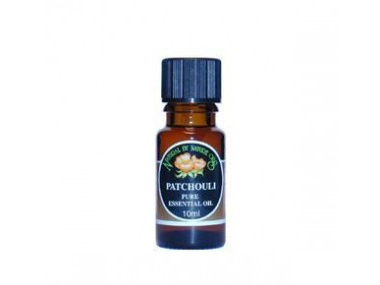 Patchouli (Pogostemon patchouli) essential oil from the leaves. Natural by Nature's Patchouli (Pogostemon patchouli) essential oil is from the leaves. This grounding oil was widely used in the psychedelic sixties. It holds a mysterious oriental quality, especially when blended with oils that possess a sweet fragrance. It has a profoundly earthy, mossy aroma. Where can you buy real Patchouli Essential Oil 10ml safely online? If you are wondering where you can buy Natural by Nature patchouli essential oil - 10ml safely online in the UK, then shop with us. Patchouli Essential Oil 10ml - Natural by Nature patchouli essential oil - 10ml in Essential Oils and Aromatherapy.